Explanation: Have you heard a lot about ringed planets lately? 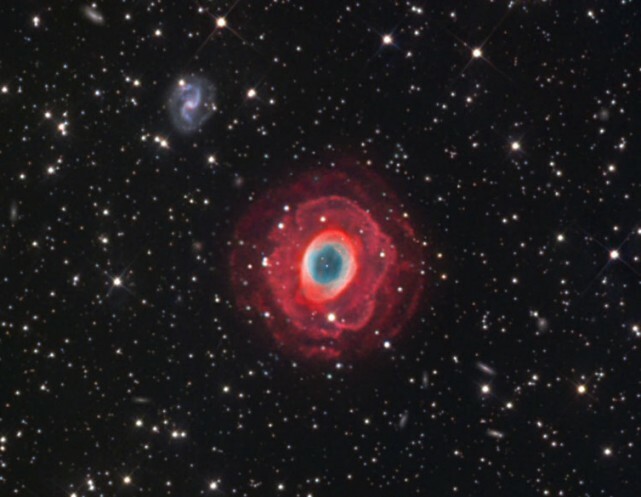 Well, consider this gorgeous celestial vista centered on the Milky Way's own planetary nebula M57, the famous Ring Nebula. The wide view is a composite of three exposures; one to record the details of the inner roughly one light-year span of the familiar nebula, one to record the surprisingly intricate but faint outer rings of glowing hydrogen gas, and one to pick up the rich assortment of distant background galaxies. 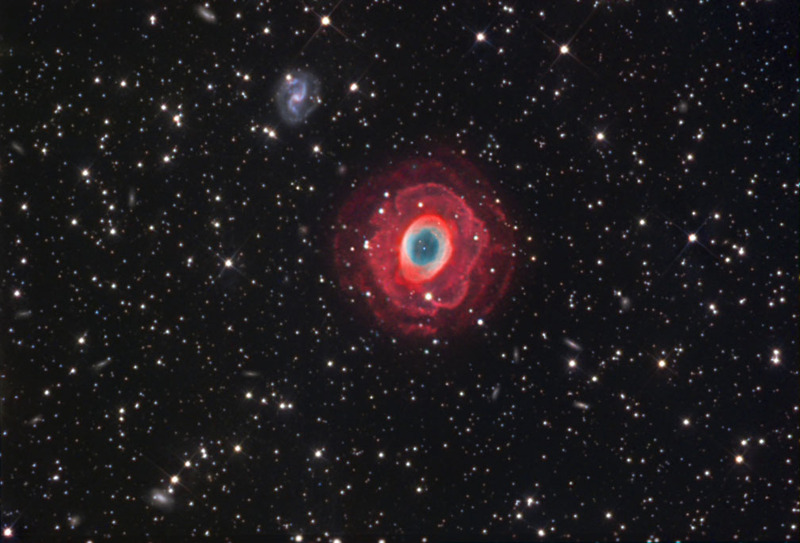 By chance, one of the background galaxies, IC 1296 at the upper left, is close enough to show its barred, spiral structure making an attractive visual comparison with M57. Interestingly, though IC 1296 is 200 million light-years away compared to only 2 thousand light-years for M57, a faint ring is also apparent around the outer reaches of the distant spiral galaxy.